I'm a total noob at cutting, so im still learning the ins and outs. I've got InkScape installed and working, but when i try to get InkCut working, it's not. 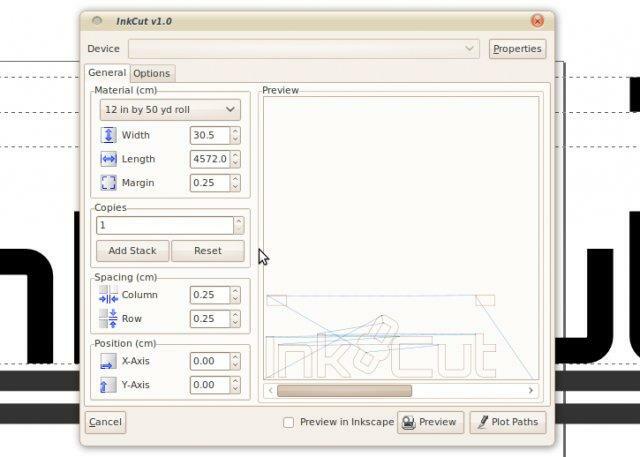 Anyone know of any "installation" instructions for InkCut for Windows 7? I do believe you will need Ghostscript installed and working and even then, (as I have read... haven't tried it) it's still hit and miss. 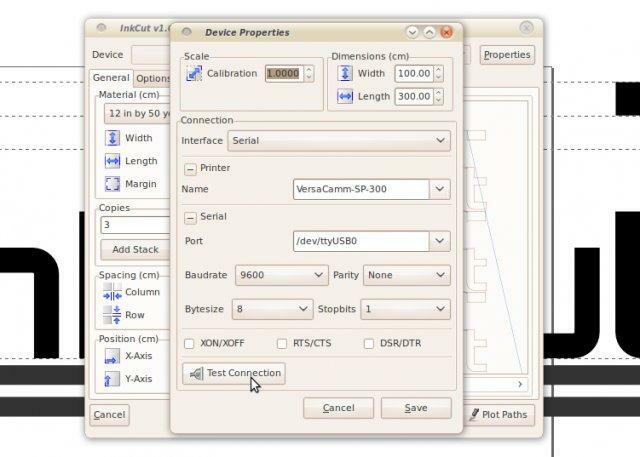 You'll likely be miles ahead to just purchase some cutting software... US Cutter has a deal on VinylMaster. 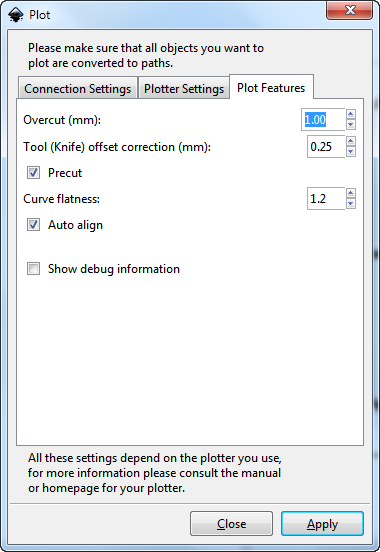 Inkcut is somewhat redundant as Inkscape has a built in Plot function to driver a cutter. It only works with a com port and hpgl, (maybe one other.) It is found somewhere in the Extensions menu. 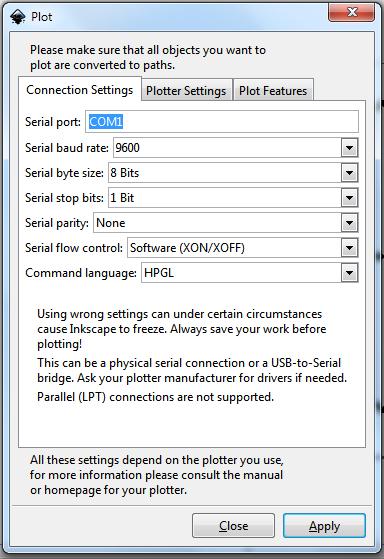 In either case you need all the right settings in device manager and bios as well as proper cables/adapters. I would heavily recommend a commercial product to drive the cutter. Even if you just use trial version for testing, you will at least have access to the providers support and help desk to get you up an running. 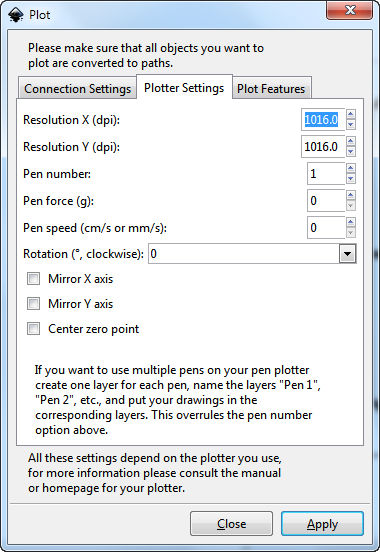 After you get the hardware set up properly, then you could take those same settings and try to use them with the plot function in Inkscape. I'm not trying to sound mean or anything bad but did you do research before you got into vinyl cutting? Did you watch YouTube videos read the posts in this forum? You will probably find your answers and even more if you do this. The problem is everyone thinks this is so easy to get into when in fact it isn't. Its more than just buying a value cutter plugging it in and cutting. I actually spent my free time over the past couple of months looking into it. I personally wanted to use my mac because it has all my CS6 software, but the SC didn't have as many good reviews as the MH that could find. I understand it's not easy, and knew it wouldn't be easy getting into it. but i had to start somewhere, and this is where i decided to start. I also understand that i purchased a value cutter. Unfortunately, with going to college, and supporting my family, i can't just drop $1,000 on a name brand plotter, although i would love to. But like i said, i had to start somewhere. the SC didn't have as many good reviews as the MH that could find. If you're wanting free, download SignBlazer and use it for your cutting needs. by OttoHermansson on Tue Dec 04, 2012 9:23 am. It still looks awfully complicated to me but who knows. I wish someone would just build an installer out of the good of their heart to help build Inkscape's usage numbers. I know I'd like to try it myself. After all the Windows 10 spyware and forced upgrading tricks, I'm finished with Windows and will be moving to Linux in the future once my Windows 7 machines die. Besides Inkscape (and GIMP for that matter) I know Coreldraw X4 https://appdb.winehq.org/objectManager.php?sClass=application&iId=440 and Photoshop https://appdb.winehq.org/objectManager.php?sClass=application&iId=17 run under WINE in Linux so that's very positive. 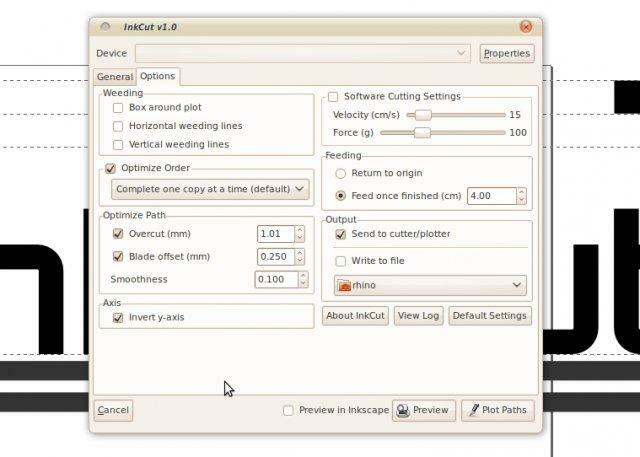 These two links are just for others who may be following along interested in Inkcut for Inkscape. Takes a bit of playing around to get things sorted out, but once you do, it's a nice option. It only works via a serial connection though. Interesting! I will take a look at it sometime. I do still wish to solve the Inkcut with Inkscape on Windows issue everyone seems to have but that's a longterm project I think. I can't believe after all this many years, no one has figured it out by now and made a simple installer for it...I don't actually KNOW how to make an installer or I'd do it myself. I believe what is now built into Inkscape is pretty much Inkcut and killed the development of Inkcut as a separate plug-in. Here's a link to the guy that did the development of the Extension. Oh really? Wow, OK, I didn't know that...Kind of good and bad all in one. Good in the fact that more people will be able to use it by default without a cumbersome installation procedure but bad in the fact that updates to the functionality of the cutting aspect won't occur until the major release of Inkscape. Am I mistaken about that thinking? Seems logical. Anyhow, thanks for the information. I'll have to check it out to see what's been done. I have my cutters setup using a serial to USB Keyspan adapter so I'll see if that works. The first three images are from what's built into Inkscape now by default. The last three "different color" images are from the Inkcut plugin. Seems the plugin has a lot of different features...at least a preview. Cool, so I was mistaken in my understanding that what is built in was just a version of inkcut. Still though, they are pretty close to the same and the developer of the extension has plans to put a preview window although his posts says he needs some help from a C++ programmer to get it working. I'd like to see the advance feed after the job is done rather than returning to home. If you ever figure out how to get Inkcut working in windows post up. I'd be interested in trying it out. Just found this posting of how someone got it to work. Although the preview doesn't work in Windows. So given that, and the only other reason I would want InkCut is for the advance after cut option doing all this to get it to work is quite a bit more hassle then it's worth to me. This is how I got Inkcut to run on windows step by step. Comment out line 143 to 148. Comment out line 241 to 252. This will remove the preview from within the extention, you can still use preview in Inkscape and I hope to solve the preview issue. That was posted 2 days ago so indeed not dead yet. Though I love the spirit behind Sourceforge and the work of everyone involved, these open source projects tend to be a mish mash of information and progress and I find that frustrating. But that's because I'm an "organizer" I guess. Now there is another layer of confusion between the Inkcut plugin and the built in Plot feature in Inkscape which is definitely a problem. Now I see how the desire to kill one off makes sense. 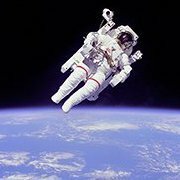 Good to see people are still alive and interested in the project. I wish I could get in touch with the guy who runs the http://inkcut.sourceforge.net/ website. It needs a lot of work. I'd volunteer to do that.